Crisp N: Health planning – a Global perspective; Anais of the Instituto de Higiene e Medicina Tropical, Lisboa. In press. 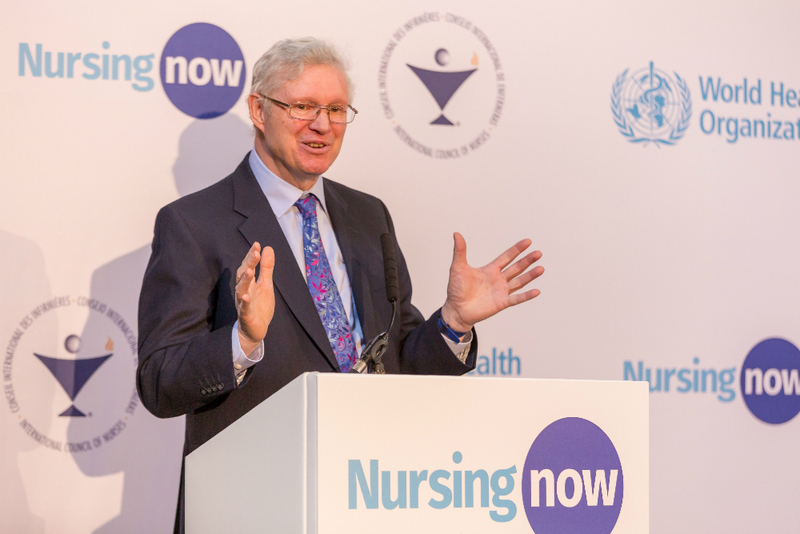 Nursing Now launched on 27 February 2018 simultaneously in London, Geneva, Jordan, South Africa and the USA. By November 2018, there were campaigns active in more than 64 countries. Latest Report: Nursing and Midwifery: The Key to the Rapid and Cost-effective Expansion of High-quality Universal Health Coverage – A Report of the WISH Nursing and UHC Forum 2018 written with Sharon Brownie and Charlotte Refsum, with a foreword from Dr Tedros Adhanom Ghebreyesus. Copyright © 2019 Nigel Crisp. Powered by WordPress. Theme: Spacious by ThemeGrill.